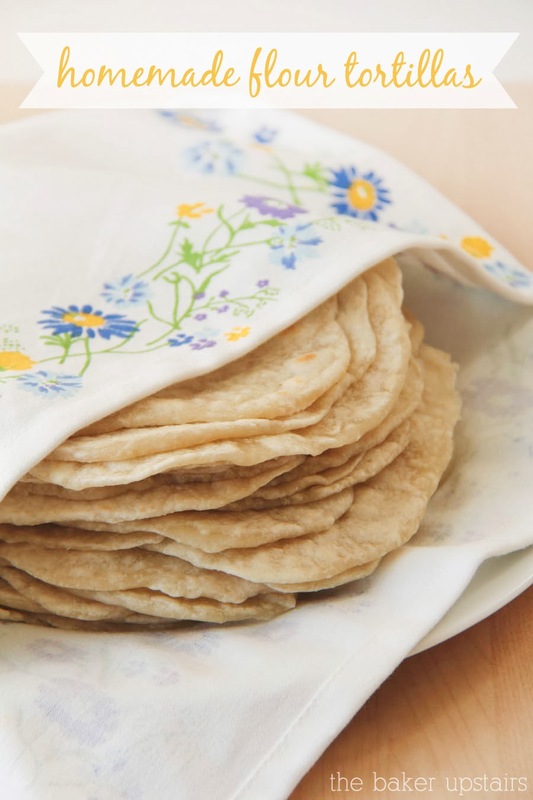 Homemade tortillas are pretty high on my list of "foods I love and could eat all the time forever." I love them soft and warm and fresh off the griddle, and I usually eat way more than my share whenever I make them (which is embarrassingly often). I've been using this particular tortilla recipe for years now, and it is the best! 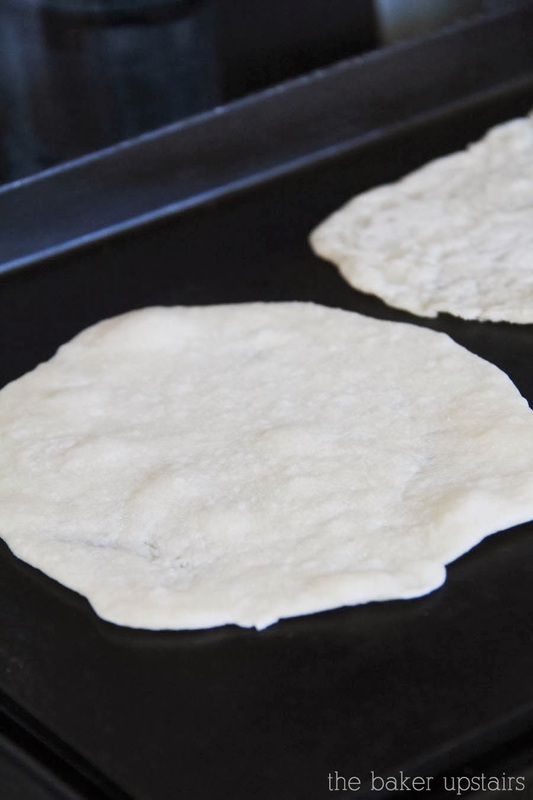 The tortillas come out light and chewy and perfect, and there's no need to go buy shortening or lard (yuck). I love that I can just whip up the dough and have fresh hot tortillas in under thirty minutes. We use them for tacos, fajitas, and as a side with tortilla soup or enchilada soup. This recipe is a lifesaver! Start by adding flour, salt, water, and olive oil to a bowl, and mix well. Set aside and let rest for 10 minutes. Preheat a frying pan or griddle. Divide the dough into eight equal-sized balls and roll them out. I find it helps to flatten them with my hand first. 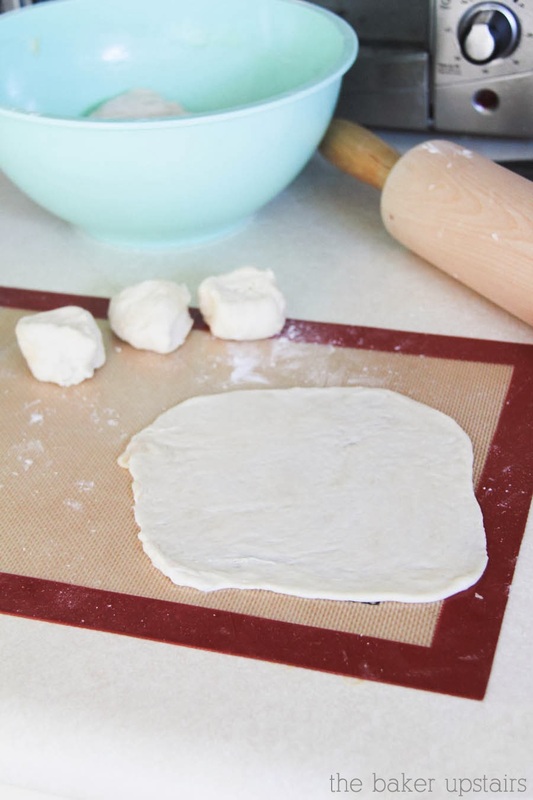 Cook each piece of dough for a few minutes per side, flipping them once they start to bubble. Remove from heat and keep warm with a towel. Simple, quick, and delicious! 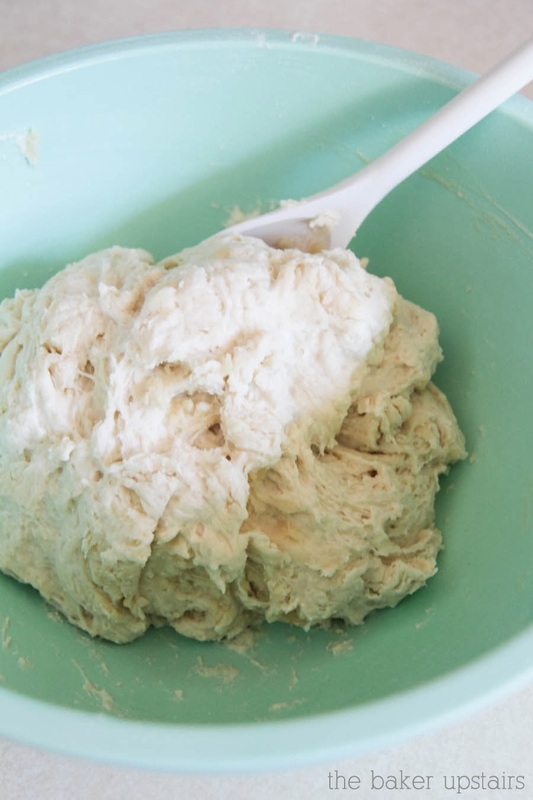 Combine all ingredients in a large bowl and mix to form a soft dough. Let rest 10 minutes. Preheat a griddle or frying pan. Divide into eight equal-sized balls and roll out into 8 inch circles. Cook for a few minutes on each side, flipping when the tortillas start to bubble. Remove to a plate and keep warm with a towel. Enjoy! I can't wait to try this. Love that it's easy enough that my kids can help out. Yes! My kiddos love helping me roll the tortillas out, and my six year old can read the recipe and add all the ingredients. Super simple and fun for the kids! Will have to try this one--and congratulations--YOURS don't look like states! My husband says mine taste okay, but can't I make them look m ore round, and not so much like Florida? Love this! I want to cut back on pre-packed foods but also love tortillas. Going to try this, think I'm gonna use whole wheat flour or is that a silly idea? Want to make some for the lunch boxes as well! Thanks for the recipe! I think whole wheat would be great! Let me know how it works if you try it! What type of flour do you use? All purpose or self-rising? I use all purpose. I wouldn't suggest using self-rising because I think the leaveners would probably mess with the dough. I am super excited by this recipe! About how many tortillas does this make? I only cook for myself and sometimes for me and my boyfriend, so I'm guessing I should half the recipe, perhaps. This recipe makes 8 tortillas. The tortillas do save really well, though, so if you want to make the full recipe and have some for later, that would work too. Hope they turn out great! How do you store them if you are saving them? And how long do they last? Do you oil the pan/griddle before cooking? I made these this morning because I found out AFTER making the eggs and bacon that I didn't have tortillas for breakfast burritos. Oops! lol They were really good, made up quick and easy, and rolled up into burrito formation like little soldiers. I probably used too much flour during the roll-out stage, but it's a very warm day and the dough was sticking. 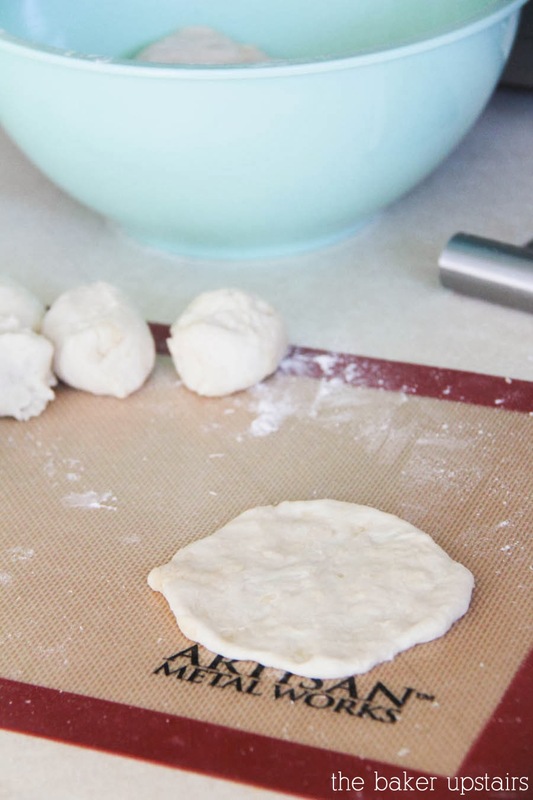 I used a plate to help flatten the dough balls into a circle, which made it a lot easier to shape. Thanks for sharing! My hubs and kiddos loved them! Nope! They turn out delicious without it. these were so easy and so good!!! Thank you for posting!! !